Welcome to another episode of Wildstorm Addiction! 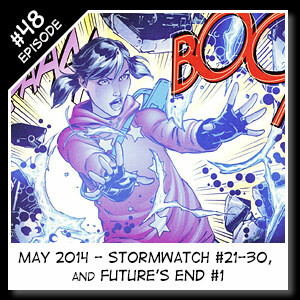 Our resident Wildstorm experts Joe David Soliz & Benjamin Murphy review Stormwatch #21-30 and Future’s End #0-1, as well as some other Wildstorm appearances in the new DCU 52. Welcome to another episode of Wildstorm Addiction! 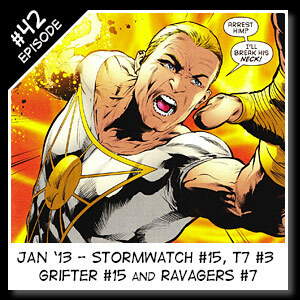 Our resident Wildstorm experts Joe David Soliz & Benjamin Murphy review the new DCU versions of Stormwatch #16, Grifter #16, Ravagers #8, and Team 7 #4, as well as some other Wildstorm appearances in the new DCU 52! Welcome to another episode of Wildstorm Addiction! 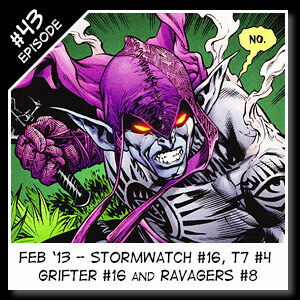 Our resident Wildstorm experts Joe David Soliz & Benjamin Murphy review the new DCU versions of Stormwatch #15, Grifter #15, Ravagers #7 and Team 7 #3, as well as some other Wildstorm appearances in the new DCU 52!